In the new study, Japanese scientists looked at a specific protein found in chlorella and the effect it had when included in a fatty diet. They discovered that the protein appeared to have an ability to reduce some of the negative effects of fat within the body, including reducing levels of triglycerides in the liver, when a high fat diet was supplemented with the chlorella extract. Perhaps most excitingly the chlorella protein appeared able to reduce the increase in size of the body’s fat cells, normally seen when eating a diet high in fat, highlighting the potential of the algae in helping prevent weight gain. You don’t need to go wading through ponds with a net to be able to benefit from the algae as there are now a host of chlorella supplements available, both in granule form, to be added to smoothies and shakes, or as tablets. 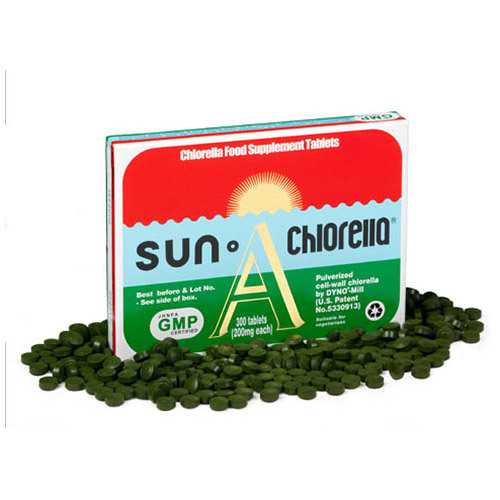 Some of the most efficient products come from Sun Chlorella, whose new DYNO®-Mill technology breaks down the cell walls of the algae (without the use of heat or chemicals which can reduce the quality of the chlorella) to ensure when you use either their granules or tablets you’re getting the most nutrients possible.